Strong search engine performance for real estate websites is the best way to generate new leads and get your real estate business noticed. 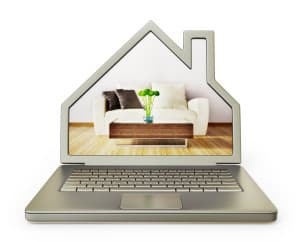 With the agent websites supplied by most brokers, real estate agents typically have to forward their domain name to their free web page on the broker website. This supplies their domain with absolutely no search engine value. In order to gain ranking with the top search engines, you must have your own real estate website hosted on your own domain name. A custom real estate website design, optimized for strong search engine performance, is the best way to gain leads from visitors during their online real estate searches. Your real estate website serves as your introduction to potential customers, so every element on your site should present you and your properties to your best advantage while showcasing the elements that make your services unique. The free websites offered by brokerages are often cluttered and visually unappealing, built with a “one-size-fits-all” mentality that presents agents as virtually interchangeable cogs in the brokerage’s machine. With a custom designed real estate website, you get a professional, attractive layout that highlights your exceptional qualities, with an innovative interface that draws in visitors and encourages return visits. Your personalized website puts the focus on you rather than on the brokerage firm, allowing you to create a direct connection with potential customers. A large percentage of the real estate customers in South Florida use their smartphones to search for properties and agents. Most free websites do not include a mobile-friendly version, which makes the cost of that free South Florida real estate website design quite expensive once you figure in the price of lost sales and missed connections with potential customers. An easy to navigate website, custom designed for mobile real estate marketing, will gain you repeat customers who appreciate the convenience of being able to browse desirable South Florida properties whenever they want using their smartphone or tablet. Now that you have a better understanding of why you need a real estate website, you can count on For Sale Marketing to create the dynamic, strategically designed South Florida real estate website that will help your business grow. As a leading real estate web design firm in South Florida, For Sale Marketing is experienced at creating real estate websites that incorporate valuable interactive marketing features, such as lead generation forms, email marketing, advertising programs, social media platforms, and more. Contact For Sale Marketing today at 954-779-2801 for more information on how a personalized real estate website can help your business grow!